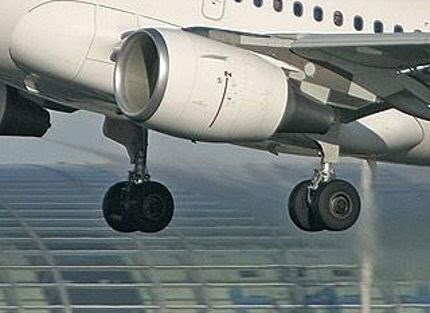 A Romanian survived a flight from Vienna to London – by clinging on to the plane’s landing gear, according to reports. Newspapers report today (Tues) that the 20-year-old man "dropped frozen stiff from the fixed landing gear" of the United Arab Emirates State fleet aircraft after its landing at London-Heathrow on Sunday. The jumbo jet landed at Vienna International Airport (VIA) last Thursday before taking off for the British capital Sunday evening. Reports say the blind passenger survived only because the empty jet had to fly at lower altitude than planned due to thunderstorms en route. Vienna police declined to comment on the reports, while British officials are set to quiz the man – who is recovering at a London clinic after suffering serious hypothermia from the flight – about when and why he climbed onto the plane’s landing gear.